For decades, the German Children’s Literature Award competition has documented the evolution of children’s and youth literature. 60 years on, it is still the most highly-regarded and best-known prize of its kind. Its founders were probably not aware that the German Children’s Book Award they had created was unique: it was the only state-funded award for literature in the Federal Republic of Germany. Established by a Federal Minister of the Interior decree on 29 August 1955, it was awarded for the first time in 1956. Since 1959, the then newly-founded Federal Ministry for Family Affairs, Senior Citizens, Women and Youth has staged the competition, which was later renamed the German Children’s Literature Award. It formed part of the Federal Youth Plan, a programme to promote political, social and cultural youth work in the post-war and economic miracle years. While the competition regulations and quality criteria have changed in line with contemporary trends, similar goals have nonetheless underlain them for decades: the German Children’s Literature Award is intended to promote the quality, diversity and standing of literature for children and young people, while at the same time helping to select and disseminate reading material, especially in the area of non-school-based youth work. This double objective, with its aesthetic and educational orientation, has repeatedly been interpreted as a problematic dualism, and has even led in some cases to arguments over the prize’s intended direction. In retrospect, however, this is precisely what lends the award its dynamism. Poster advertising the 60th anniversary of the German Children’s Literature Award, featuring an illustration by David Wiesner, winner of the 2015 picture book category | © AKJ The prize is awarded in the following categories: picture books, children’s books, young adult books and non-fiction. In each of these categories, an award is presented to one book produced the previous year; in addition, the prize discussion results in a number of book recommendations and special awards being made. Since 1991 for example, lifetime achievement awards have also been bestowed on authors, illustrators and translators. Likewise founded in 1955, the Association for Children’s and Youth Literature (AKJ) was charged with organizing and staging the competition. It supervises the jury’s work and alternates the jury’s structure in order to keep the prize in a state of flux. It is not only experts that judge the submissions, however: young jury members have been involved since as early as 1972, and a young adult jury has had its own prize category since 2003. Part of the prize involves a – partially sponsored – nationwide promotion of the award-winning books in numerous reading events. Young jury members have been involved since 1972; | © AKJ José Poblete In the interests of cultural policy, the German Children’s Literature Award also includes new publications from other countries that are brought out in translation by German-language publishing houses. The vision that was pursued in the early years was that making books for children and young people available internationally would help promote international understanding and pacifism. Nowadays, the prize also sees itself as helping young readers find their way around the increased number of publications on the world literary market, as focusing solely on German-language books would be culturally limiting. Since this international orientation does not reflect the true remit of a German state-funded prize, however, it has been the subject of repeated criticism. 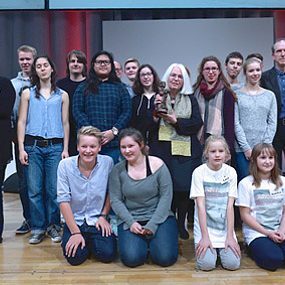 These days, there are around 50 local, national, theme- or genre-based prizes for authors, illustrators, books, initial works or lifetime achievement in children’s and youth literature from German-language publishers. 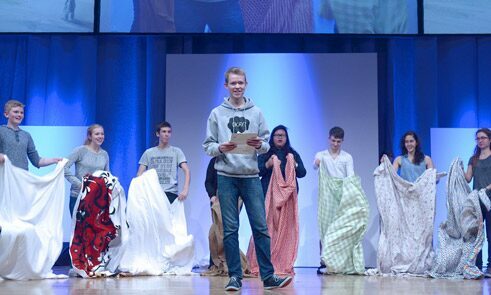 Even 60 years on, the German Children’s Literature Award is still the most highly-regarded and best-known prize of its kind, and is without doubt one of the country’s best-organized literary awards. For some years now, it has always been presented on the Friday afternoon of the Frankfurt Book Fair, and has become an important meeting place for children’s and youth literature fans and professionals alike. The award is currently worth 10,000 euros in each category – winners also receiving a sculpture of Momo from Michael Ende’s novel of the same name. 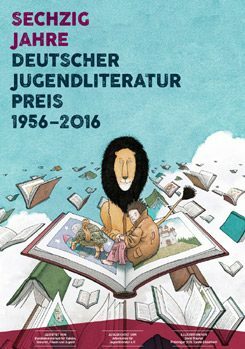 The German Children’s Literature Award also features a special database that only very few comparable awards can offer: it allows all award-winning and nominated books, together with bibliographic information, categories, jurors and brief reviews, to be accessed by searching for key words. The database currently contains around 3,000 publications. Even those who accuse the award in various literary debates as having restorative, elitist or excessively or insufficiently experimental tendencies will not deny that the award-winning books and people make visible the highest quality segment of children’s and youth literature. They symbolize the evolution and history of youth literature in Germany. At the same time, the prize-winning books document models of childhood and adolescence that have been experienced, wished for and made the subject of literature from 1956 to the present day. For generations of young readers, the German Children’s Literature Award has suggested ways in which to expand their reading horizons, and there is still no end in sight. Birgit Dankert has been reviewing children’s and youth literature in the German weekly newspaper “Die Zeit” for 30 years. She was a professor of library and information science at the Hamburg University of Applied Sciences until her retirement.